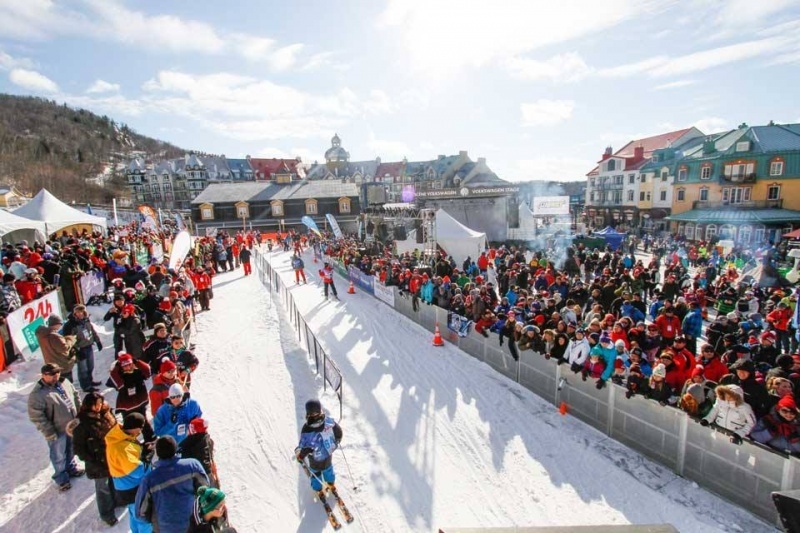 Mont-Tremblant (QC), Canada – Well-known faces from the worlds of culture, the arts and sports mingled at Ottawa’s Bell Media Hall this week with the skiers, walkers, and runners who will take part in the 14th edition of Tremblant’s 24h. From December 5th to 7th, thousands of participants will hit the slopes of Tremblant and run or walk the surrounding trails to raise funds for sick or underprivileged children. 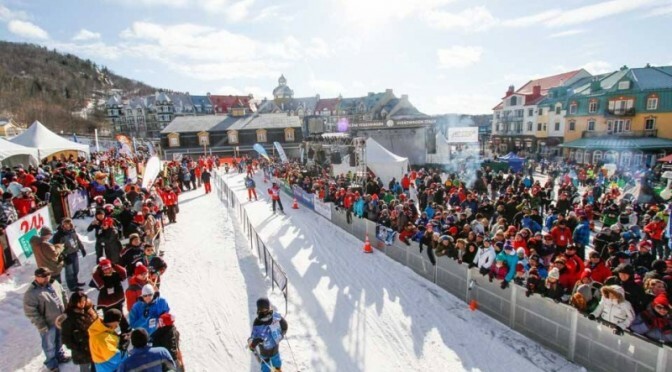 Each year Tremblant’s 24h event attracts more than 25,000 people, including close to 2,000 participants, sponsors, celebrities, musicians and journalists. The primary activity is a team skiing relay challenge for 24 consecutive hours on Tremblant’s slopes. Teams of skiers, walkers, and runners compete to see who can cover the most kilometers over the 24-hour period, and also to raise the most funds for the selected charities. More than C$15 million has been raised since 2001 for sick or underprivileged children. So far, more than 205 teams have signed up for the event, nearly 40 of which will take part in the 24-hour Walk & Run category. Teams have until November 21 to register. The Fondation Centre de cancérologie Charles-Bruneau, Fondation Martin-Matte, the Tremblant Foundation and the Ottawa Senators Foundation will all financially benefit from funds raised by the event. Last year, Tremblant’s 24h raised more than C$2.1 million. Organizers are hoping to beat that and set a new record this year. Once again this year, Tremblant 24 ambassadors Lianne Laing and Stuntman Stu will join the skiers, walkers and runners in their efforts. Each participating team will also be symbolically paired with one of the 14 sponsored children, putting a face to the cause and spurring participants to work even harder toward their fundraising goal. This year’s program includes a revamped “party at the summit” on Friday night, orchestrated by the multi-percussionist Mélissa Lavergne. The Saturday night event at the foot of the slopes will be hosted by David Laflèche and feature Radio Radio, Jonas, Alex Nevski, Brigitte Boisjoli, Nadja, Jérôme Couture and André Papanicolaou. For more information or to register a team, visit www.24htremblant.com.